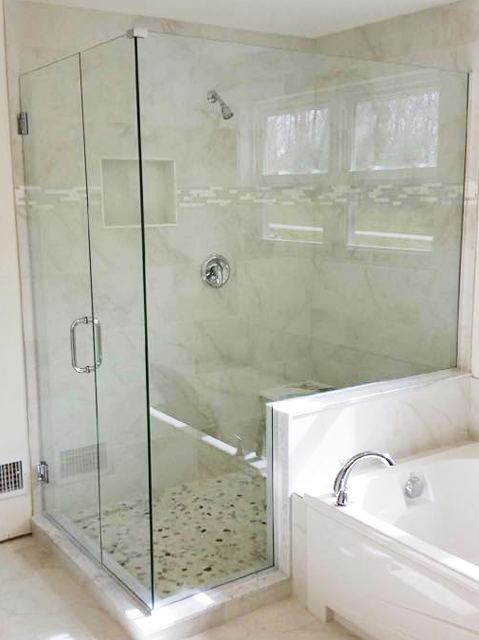 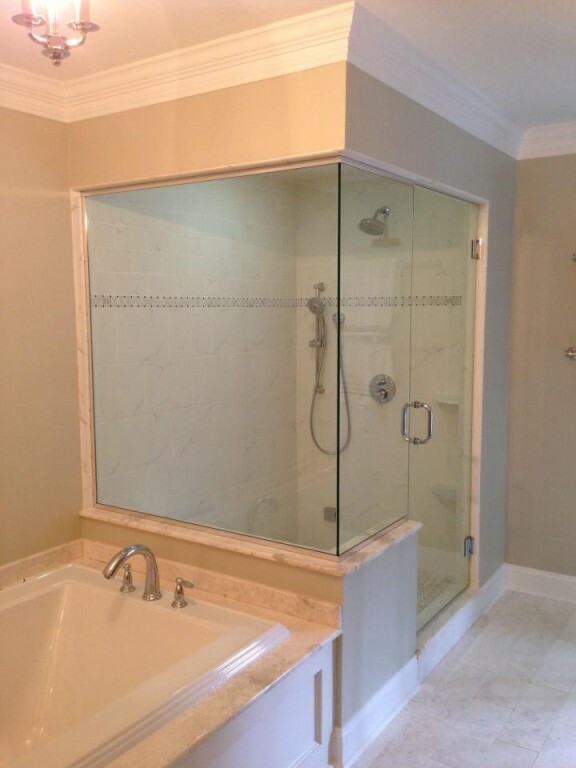 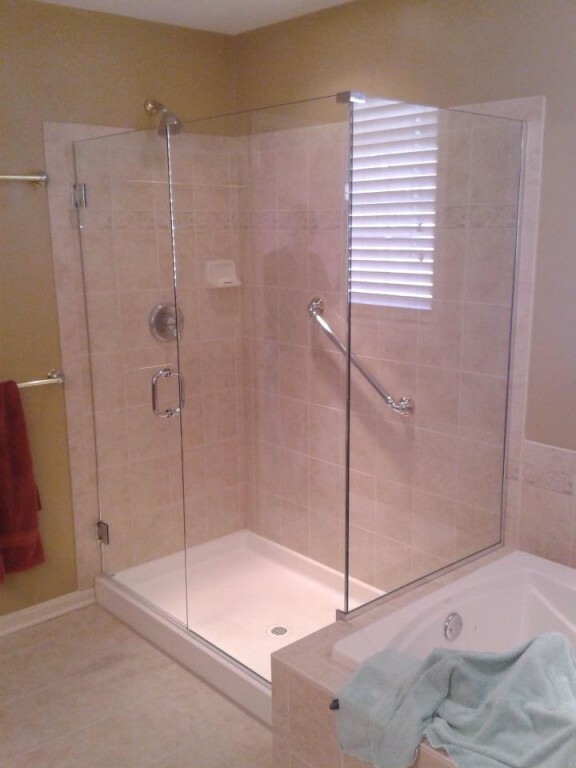 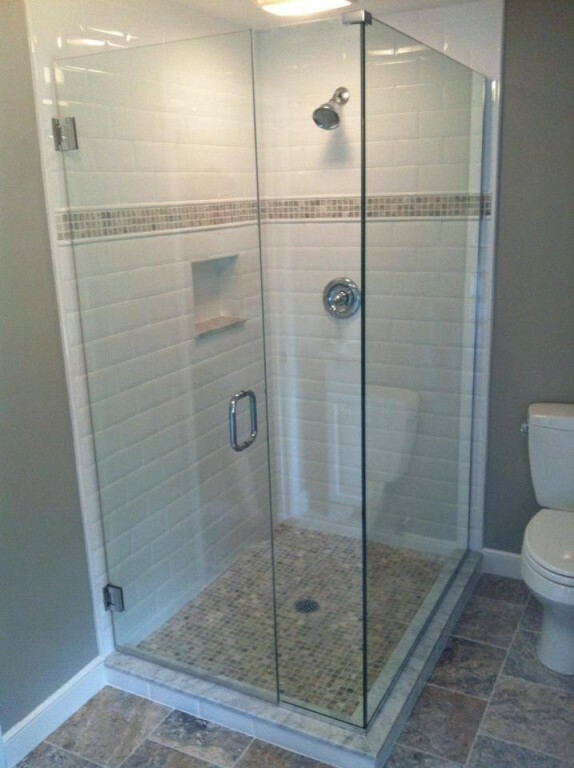 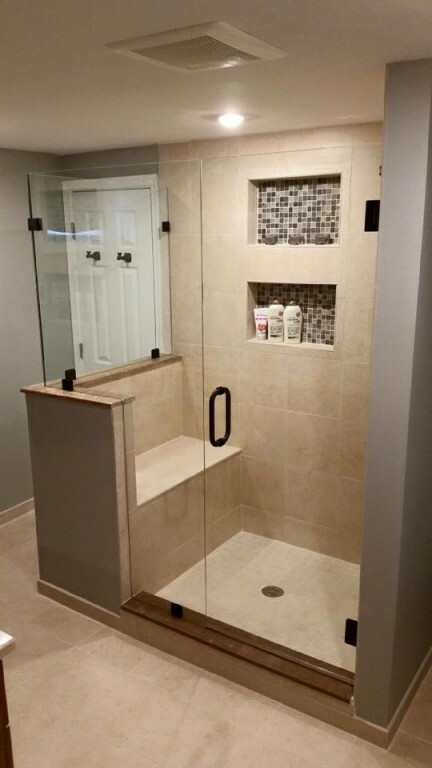 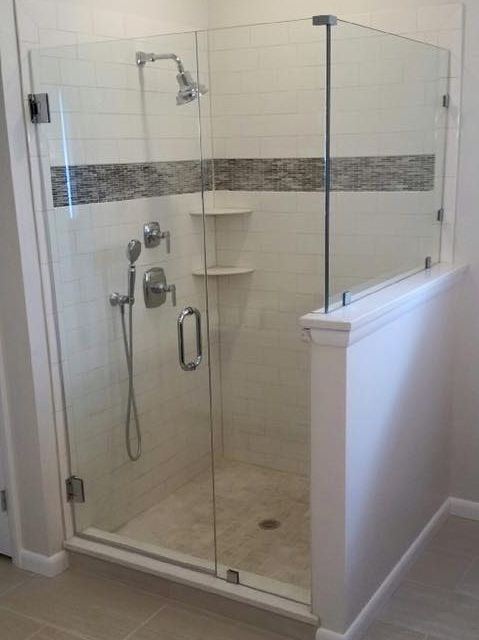 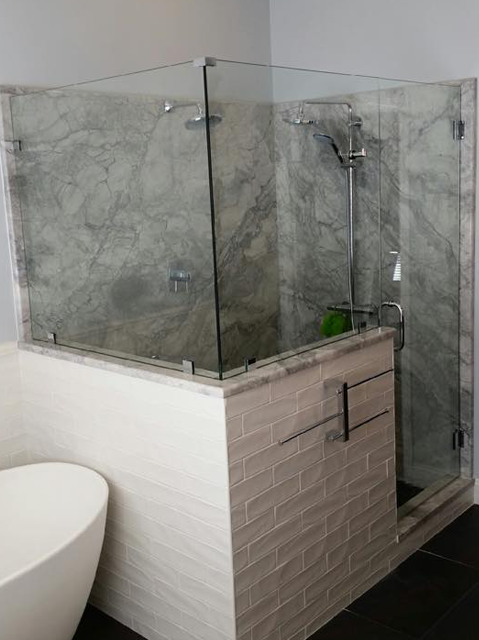 Glass shower doors at a 90 degree angle provide a sleek, minimalist look for your shower. 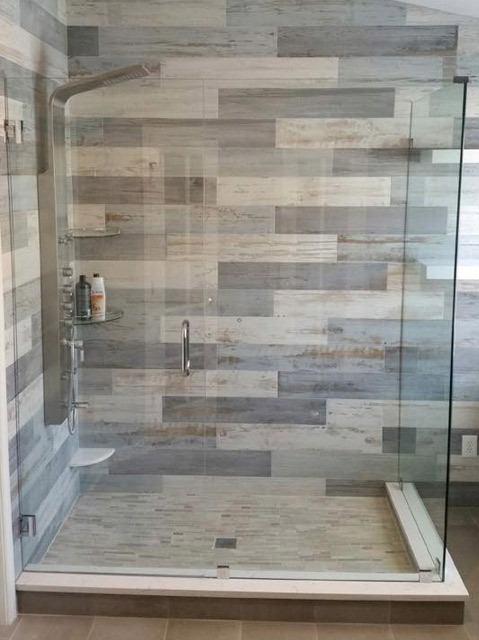 They're modern, easy to clean, and really show off your tile design. 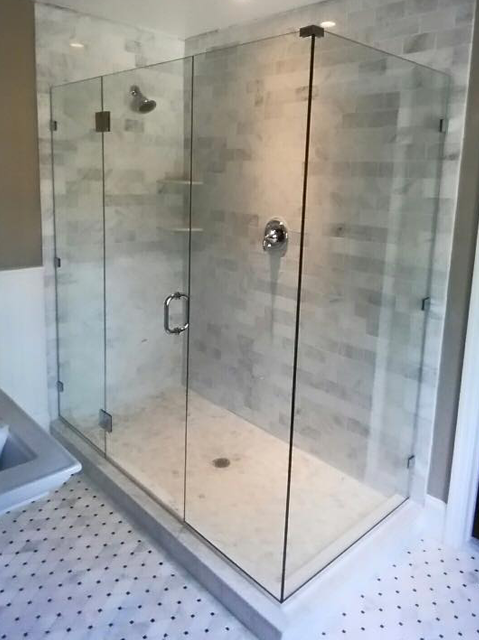 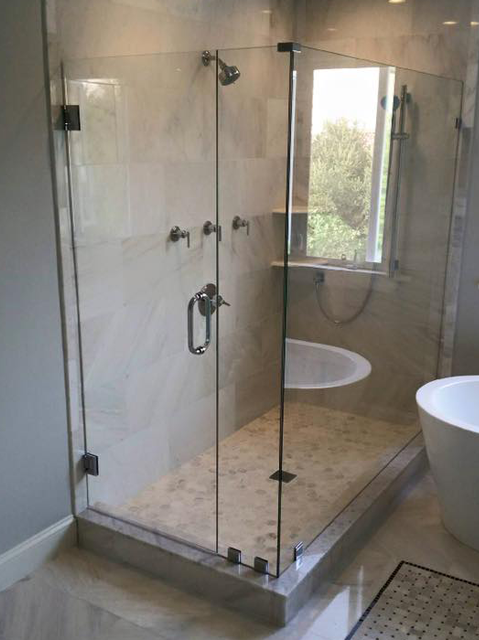 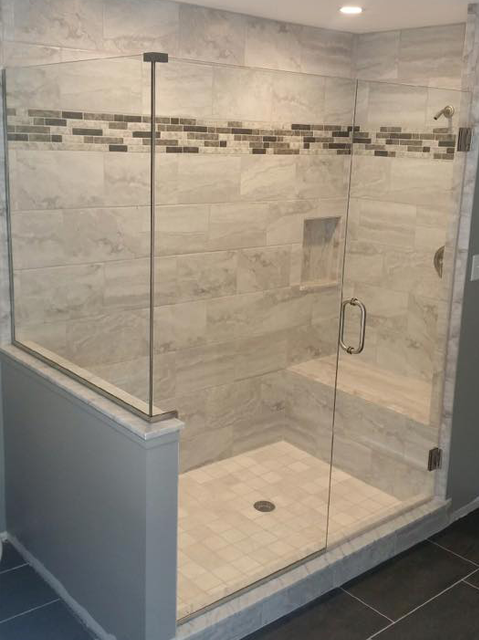 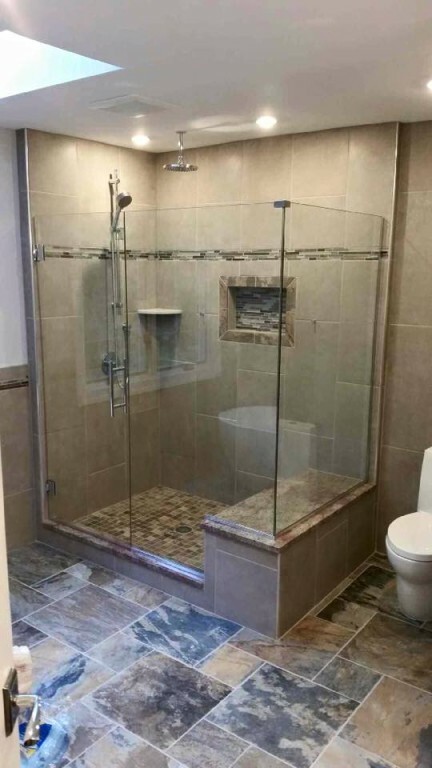 See below for some installations completed by the team at Bryn Mawr Glass.